Software review, originally uploaded by Roebot. 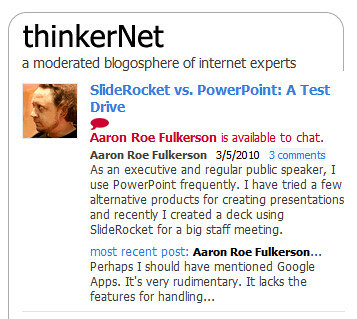 An article I wrote reviewing SlideRocket was just published at Internet Evolution. Enjoy.